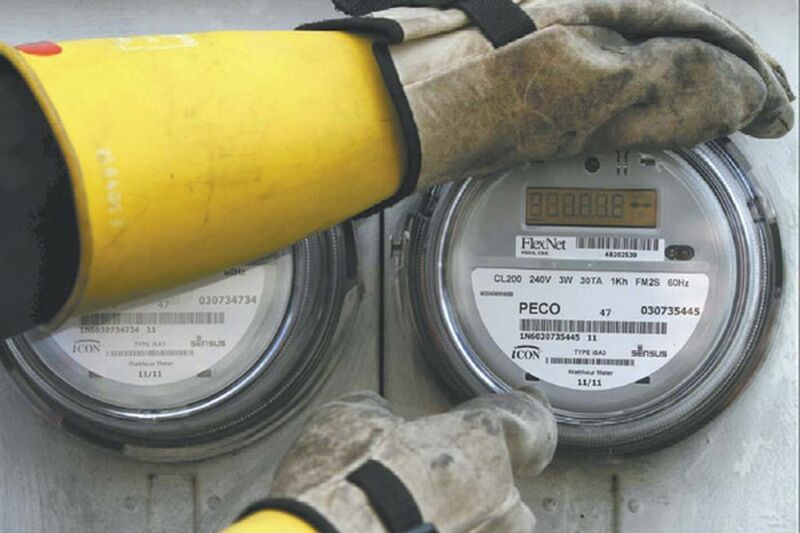 A Peco technician installs a smart meter, which allows the utility to remotely shut off customers. Peco Energy will pay a $10,000 penalty and contribute $20,000 to a low-income energy assistance fund to settle a complaint that it improperly shut off the electricity of some low-income customers during a winter moratorium, due to a computer error. The Pennsylvania Public Utility Commission on Thursday approved the settlement between the Philadelphia utility and the PUC’s Bureau of Investigation and Enforcement, which investigated complaints in 2016 that Peco had shut off eight customers for nonpayment during the winter, when a state-mandated moratorium on service terminations for low-income customers is in effect. The utility also terminated “various other customers” whose income verification information had expired. According to the settlement, a faulty Peco computer program failed to identify the customers as qualifying for the winter protections. Peco restored service after learning about the program error, and implemented internal policies and procedures to govern how it verifies customer income and it shuts off customers during the winter. Under the settlement, the $20,000 contribution from Peco will go to its Matching Energy Assistance Fund, which helps eligible low-income customers make utility payments.